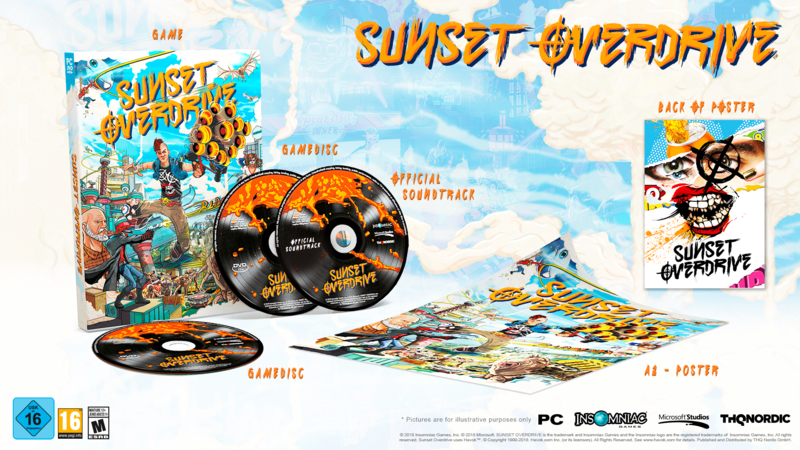 Sunset Overdrive is finally available on PC, after a long series of rumors and leaks. You can now purchase the game via Microsoft Store or Steam, for the same low price of $19.99. THQ Nordic will also publish the game at retail for the same price. Below you can check out a mockup of the included goods. However, the PC version of the game does not feature multiplayer, unlike the original Xbox One release. Not that it was a major component of the game in the first place, as it essentially boiled down to a Horde mode of sorts. Downloading Sunset Overdrive will take up about 27.76 GB of your hard drive space, in case you are wondering. Below you can also find the full system requirements.